Welcome to Search Septic - Sewer Service (S4 Septic). Family and locally owned in Bailey Colorado. We pride ourselves on providing the most courteous, respectful and professional services. We are always ontime and prompt. We provide 24/7 services including weekends. 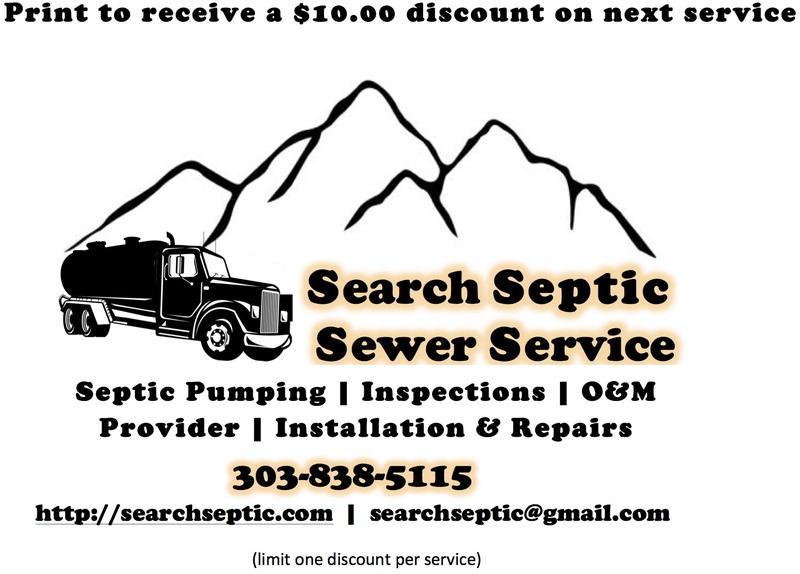 Search Septic is NAWT (National Association of Wastewater Technicians) certified, and a member of the Colorado Professionals in Onsite Wastewater (CPOW). We are NAWT certified for Inspections, Operation & Maintenance I, II, and certified septic/sewer installer and repair specialist. Copyright © 2019 Search Septic, LLC. All rights reserved. Search Septic Proprietary.